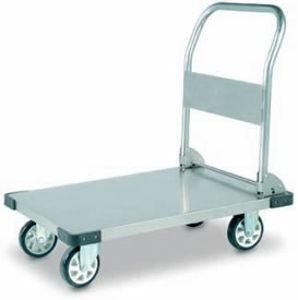 Trolleys are designed and manufactured to meet the highest demand application industries have to offer. Scissor lift table with huge Deck Size 2150mm x 750mm and 1000kg SWL with 1400mm lift height. Stock available for immediate delivery or pickup Melbourne, Brisbane and Perth. Double Electric Lift, Lifts up to 1300mm. Electric Lifting, Great for loads up to 500kg. Huge Deck Size and Foot Pump. Overload valve ensures load limit is not exceeded. Large Deck Size, Double LIft, 700kg Capacity. 1000 x 510mm Deck, 750kg Capacity.